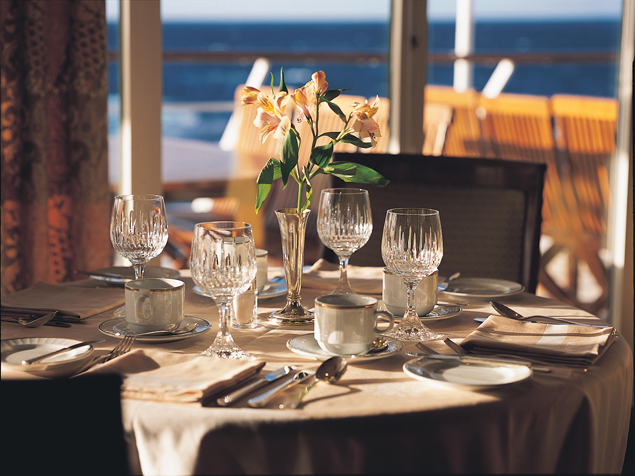 Launching in December of 2009, Silversea will inaugurate their newest ship - experience more verandas, more dining choices, more onboard amenities and more of the excellence you've come to expect from Silversea! 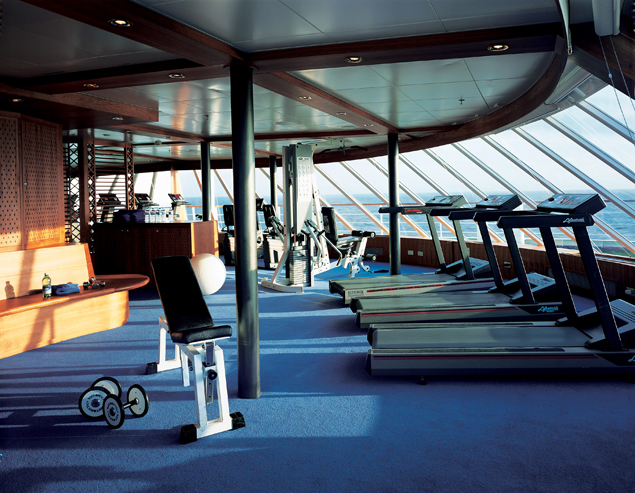 The Silver Spirit is packed with amazing amenities - with more to do, you'll never have a dull moment on this fine vessel! Relax and rejuvenate your body and mind at the Spa at Silversea, where you can enjoy saunas, steam rooms, facials, massages, and more! The fitness centre has two aerobics studios, the latest strength and weight-training, while the pool deck offers lots of space to soak in the sun; there are two whirlpools, as well as a poolside bar! 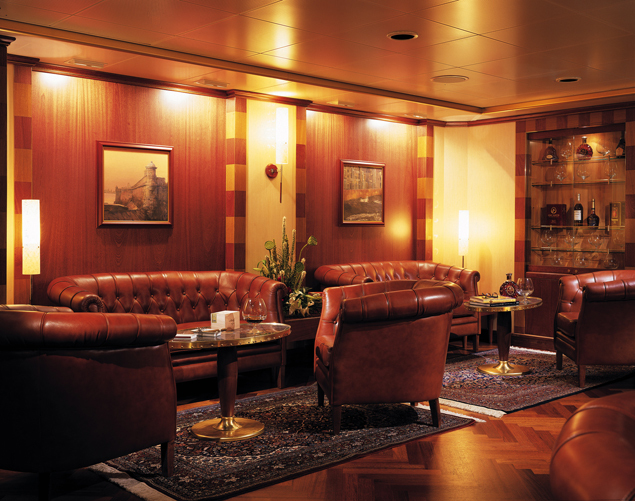 The ship has a library, an internet cafe, and Duty-Free shops for you to peruse as well! The Silver Spirit has taken dining to the next level! With six dining venues to choose from, you'll be able to enjoy a wide variety of cuisines at your convenience. The Restaurant is the main dining hall, which offers a contemporary international menu. La Terrazza has indoor and outdoor seating, a casual buffet-style breakfast and lunch serving, and authentic Italian cuisine for dinner. The Stars Supper Club has a relaxed atmosphere and features live music, dancing and nightclub-style entertainment while you dine! Le Champagne is an intimate, romantic setting where you'll be served a six-course meal complemented by fine wines! Seishin Restaurant has Kobe beef, sushi, and Asian seafood specialties, while you can also enjoy a casual poolside meal at the Pool Grill! There is also 24-hour room service available so you can dine in your suite, if you choose! The air of excitement on the Silver Spirit will come to life as the evening begins! 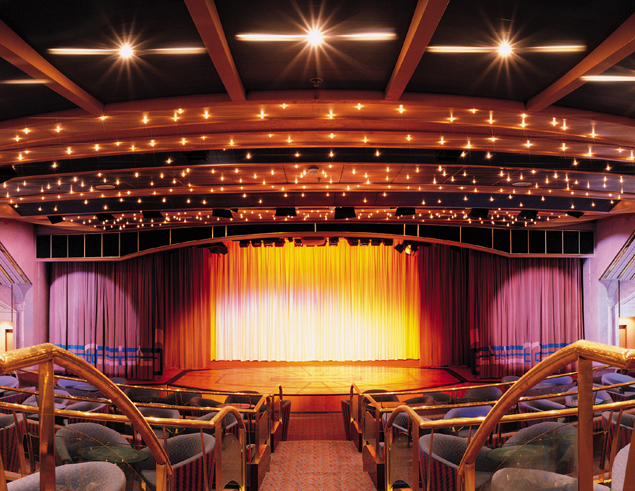 Enjoy a sophisticated live performance a tthe show lounge, or live music and dancing at the Panorama Lounge! 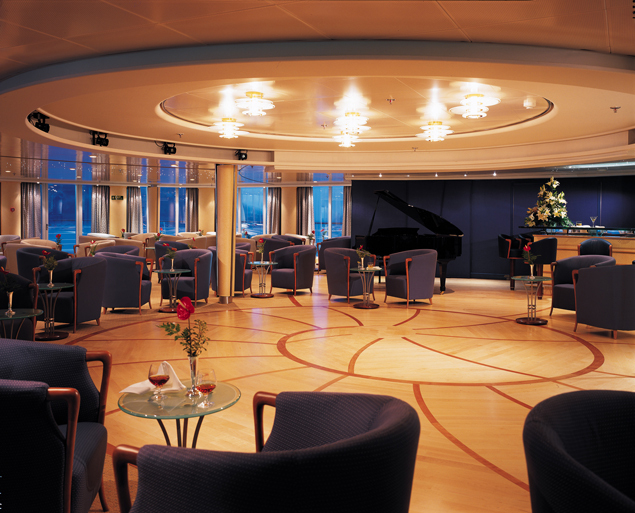 The Observation Lounge is a great place to enjoy a cocktail and a great view high atop the ship. The Humidor has cigars and cognacs for you to enjoy, while you can enjoy cocktails, open-air movies, and soft ocean breezes poolside! If you'd like a little excitement, you can also go to the casino, where games of roulette, blackjack, poker and slot machines will keep you busy late into the night!